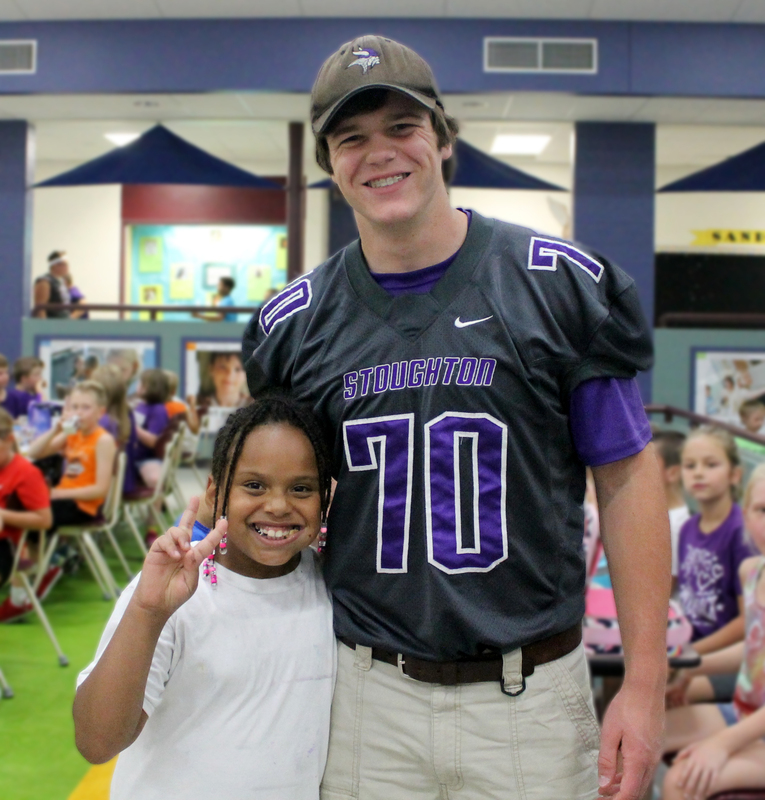 At Stoughton, we are a school district that is big enough to meet the needs of all students and yet small enough to personalize learning for all students. Our students comprise a proud community of scholars, athletes, musicians and innovators. Our caring staff is bound by a common purpose: to help each child who comes through our doors realize his or her full potential. We offer three elementary schools, one middle level school, one high school and a virtual school through a consortium of other area school districts. At the Stoughton Area School District, we are pleased to offer engaging learning opportunities in a caring, close-knit community of learners. Our three elementary schools have created 21st century learning spaces. Kegonsa has re-imagined its classrooms to support inquiry-based learning. Fox Prairie has piloted personalized learning. And Sandhill is developing a STEM (Science, Technology, Engineering and Math) program. All three elementary schools also have outdoor learning spaces. River Bluff Middle School has a diverse array of learning opportunities for students inside and outside of the classroom. The school offers 6 electives for students in for sixth grade, 17 for seventh grade and 22 for eighth grade. The electives include classes such as Video Game Design and Digital Storytelling, Robotics, Animal Science, Digital Photography, Spanish, German, Choir and Introduction to Computer Coding. 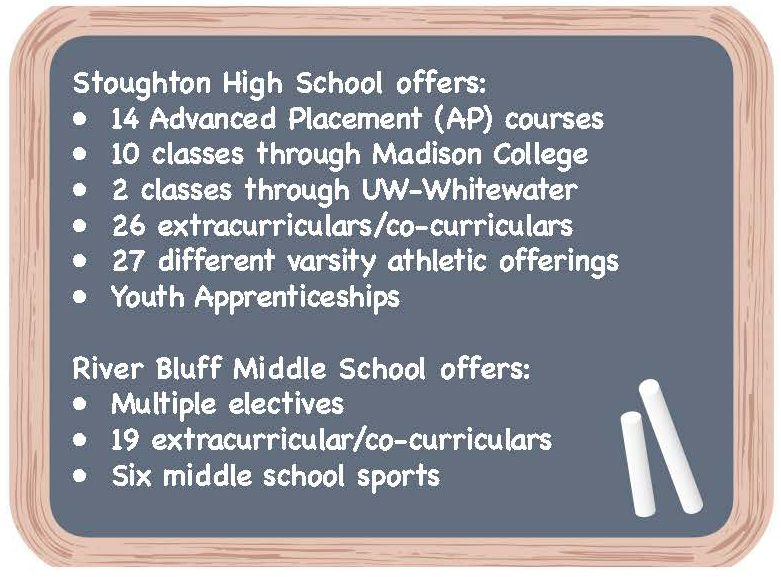 River Bluff also offers 19 extracurricular or co-curricular clubs (Talent Show, Student Council, Forensics, Dance Team and Geography Bee, for examples) and six middle school sports. A total of 65% of Stoughton High School students participate in at least one of the more than 26 extra-curricular and/or co-curricular options the school offers, such as our successful Quiz Bowl team, Art Club, Norwegian Dancers, Student Senate, Madrigal Singers and award-winning student newspaper. SHS also affords students multiple college-level courses, including 14 Advanced Placement (AP) classes and 10 dual-credit courses with Madison College in fields like Accounting, Biotechnology and Architecture. 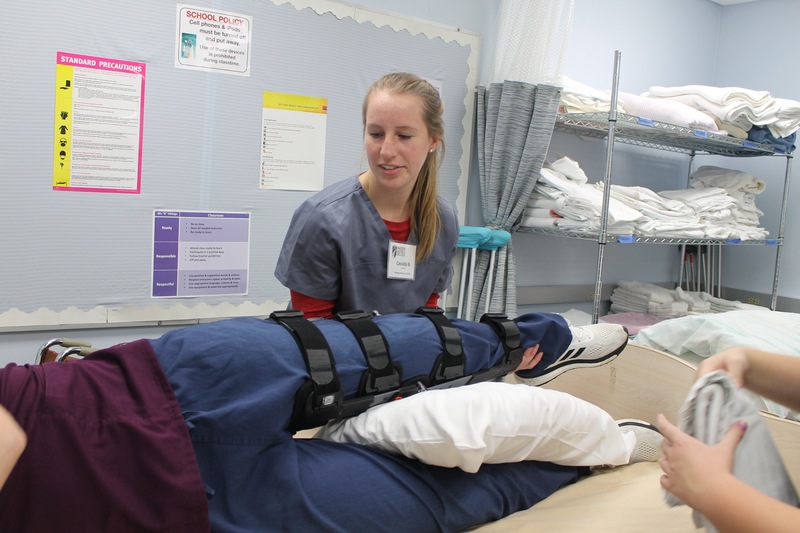 Beginning in the 2018-19 school year, SHS will also be expanding its Health Sciences program to include a Field Study class and opportunities to job shadow and interview professionals working in those specific health careers. Would you like more information? Feel free to check our latest edition of our District e-News or some of the videos below.